This is part two of our Spanish culinary adventure – our visit to Barcelona, a city that has been on my list for quite some time. I’m pretty sure if you stayed in Barcelona all year and ate out all the time, every time in a different restaurant, you wouldn’t visit all of them. So while these are some of the places we visited and liked, you could probably ask a dozen of other people and they would each list completely different must-visit places. Same as for Valencia goes for Barcelona – check out my post on the must eats in Valencia to see some of the traditional Spanish dishes. 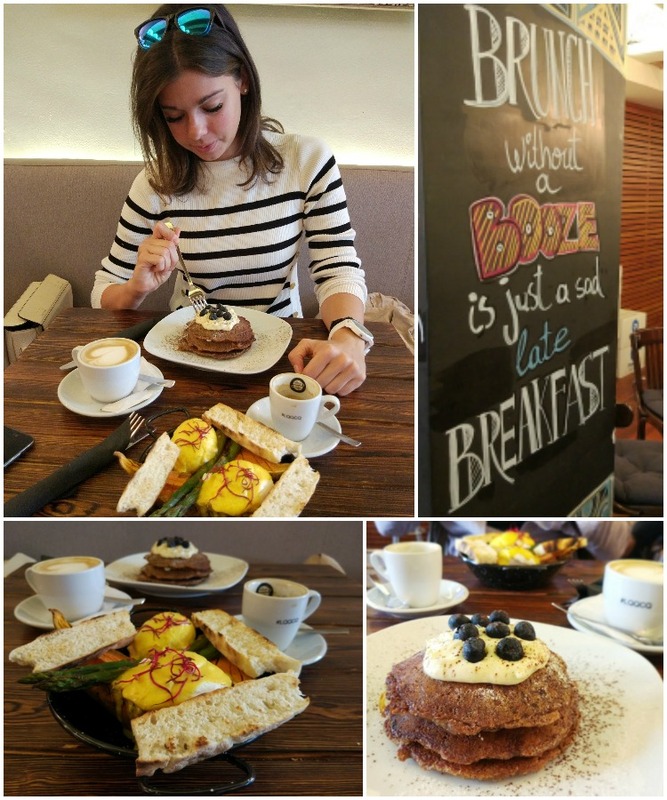 This post will be more about the amazing restaurants and cafe that you should visit if you’re in town. Just a quick note, though – Barcelona is a bit more expensive than Valencia but great reasonably priced restaurants can still be found and that was what we were after. Pudding Bar – if you are searching for the best carrot cake in town, search no more! 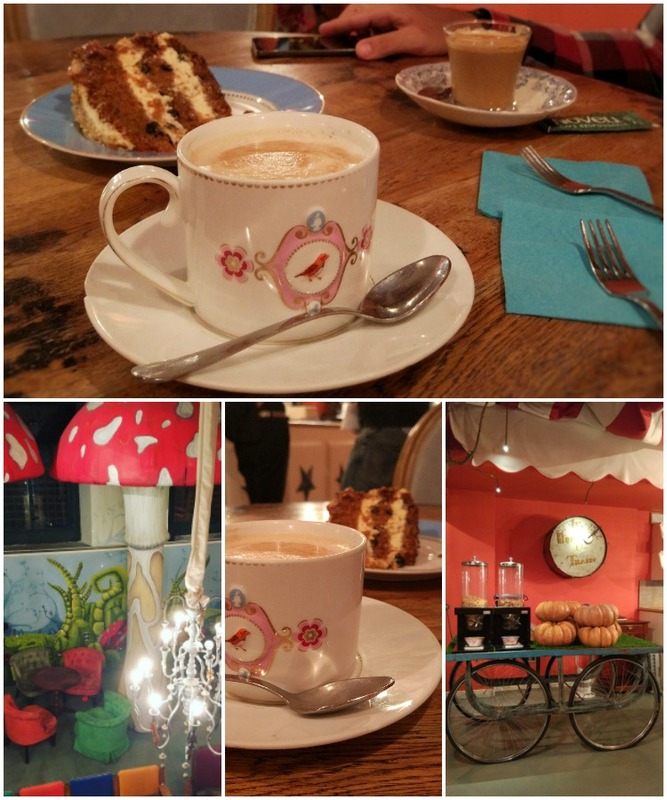 Stop by at this lovely Alice in Wonderland themed place which offers the most moist and delicious carrot cake which is just sweet enough and goes great with a cup of coffee. Each slice is served on a different plate, each cup of coffee is different, as if they were going arounf flea markets, trying to find the prettiest plates and they found one from each collection, that last one that survived. Carrot cake is not all they have. Their quiches all looked so good that we had to come back for brunch before we left. muns – when we were strolling around the city (we always end up walking A LOT on our trips), Foursquare “asked” me if we were hungry and suggest a place called muns. We checked the photos and were “sold”. 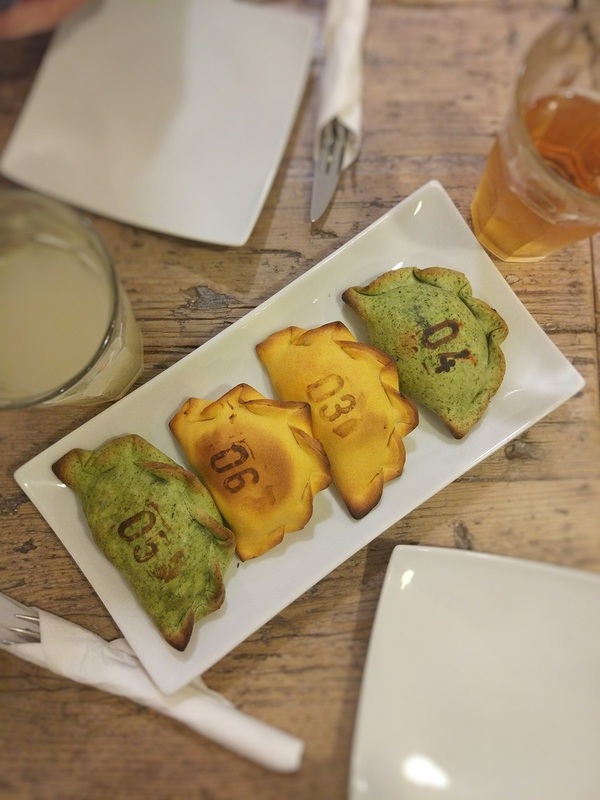 All they offer are 12 different empanadas – stuffed pastry – and some drinks. And trust me, it is all you need. You can choose between spinach, caramelized onions, cheese, jamon, mediteranian, chicken.. and even a sweet one with apples. 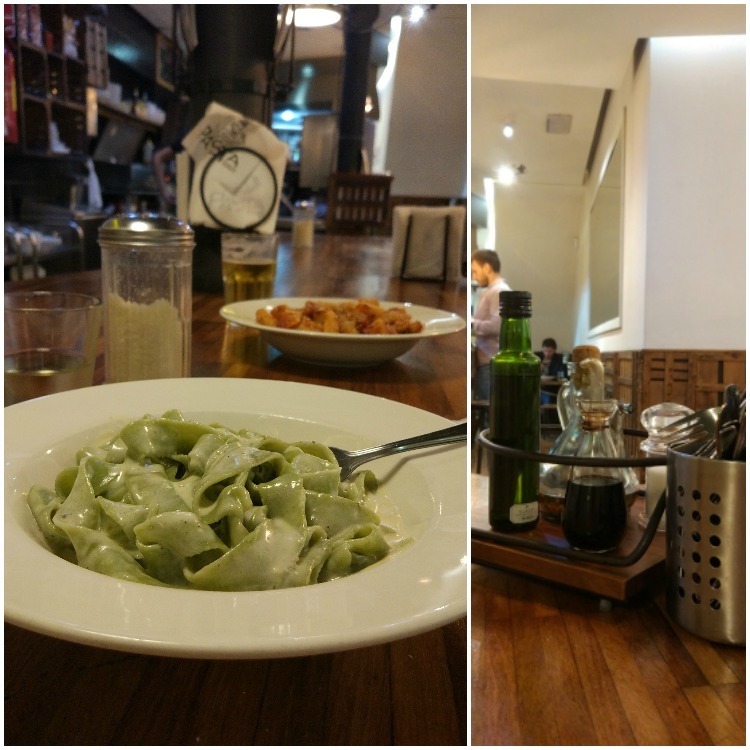 Pasta Bar – if you are looking for a very reasonably priced restaurant, search no more. Pasta Bar offers daily menus which include the daily soup, pasta of your choice and a glass of wine or beer for less than 10 EUR. And neither the portions nor the flavors suffer because of that. This was one of the best pasta I’ve had. Kiosko Burger – and here we are again. We couldn’t just go to Barcelona and try a delicious burger there, could we? So with a little help of Forsquare and Tripadvisor, we were on our way to Kiosko. 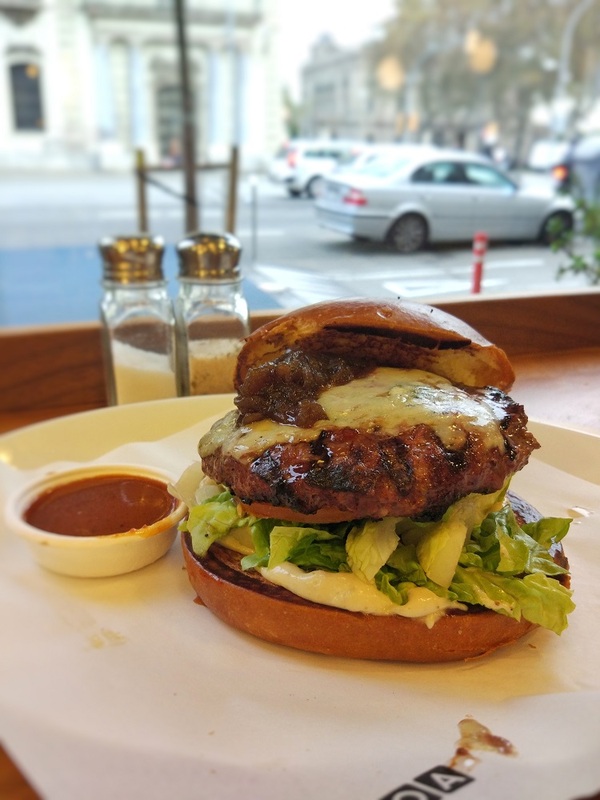 You choose your burger from a giant menu on the wall by ticking the boxes next to the type of bun (or even salad), meat, sauces and toppings you want, and you are done. 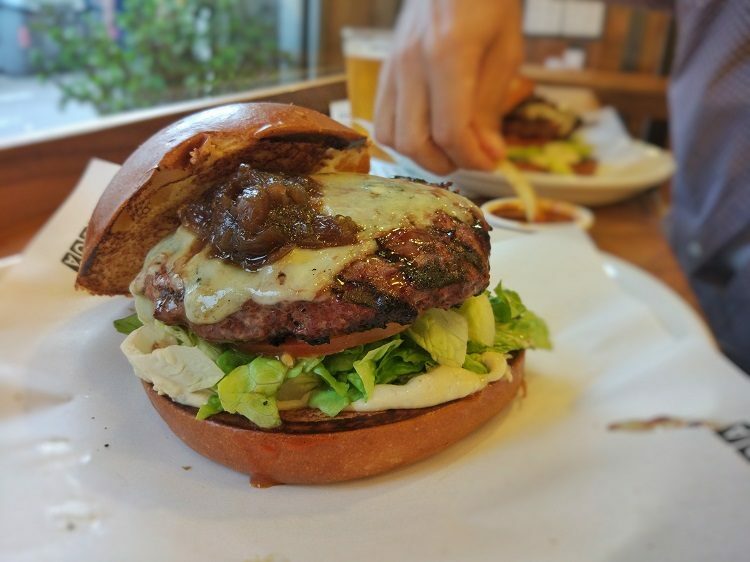 A few moments later you can enjoy one of the best burgers you’ve ever had! Alsur Cafe – brunch seems to be a really big thing in Barcelona and there are lots of places you could visit. I personally love to try and find a good place to eat with a little help of hashtags (#) on Instagram. That and some advice from my friends led us to Alsur Cafe (and the Federal Cafe below, for that matter). I had the carrot cake pancakes (OMG! dessert for breakfast!) and my boyfriend had the eggs Benedict with a twist – on some roasted sweet potatoes. That was the perfect fuel to get us through Park Guell. 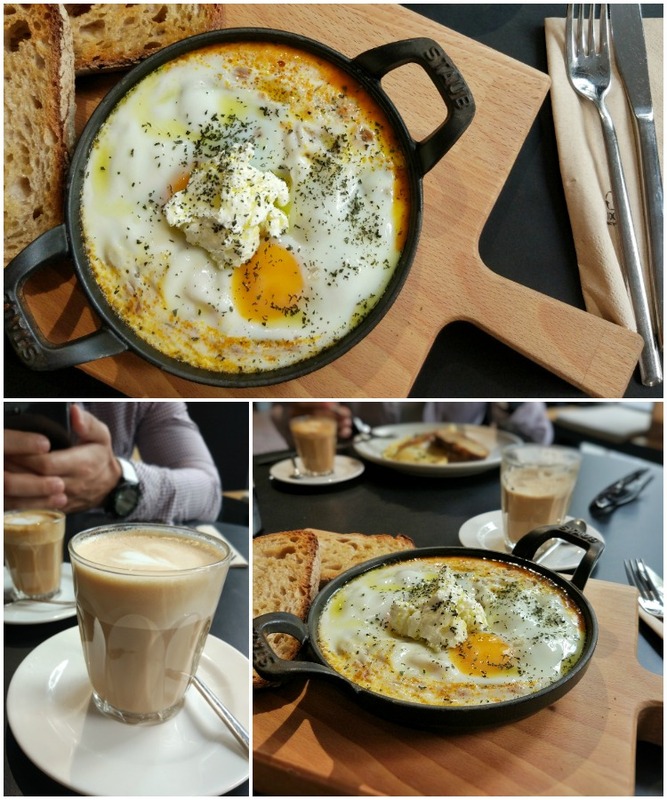 Federal Cafe – almost the only thing wrong about this place is that everything on the menu looks so good you almost can’t decide what you are getting. I went with the shakshuka with a little twist and was not dissapointed, although, I must admit my boyfriend chose better this time (I can’t remember what it was, though, but it included eggs, cheese and pears). 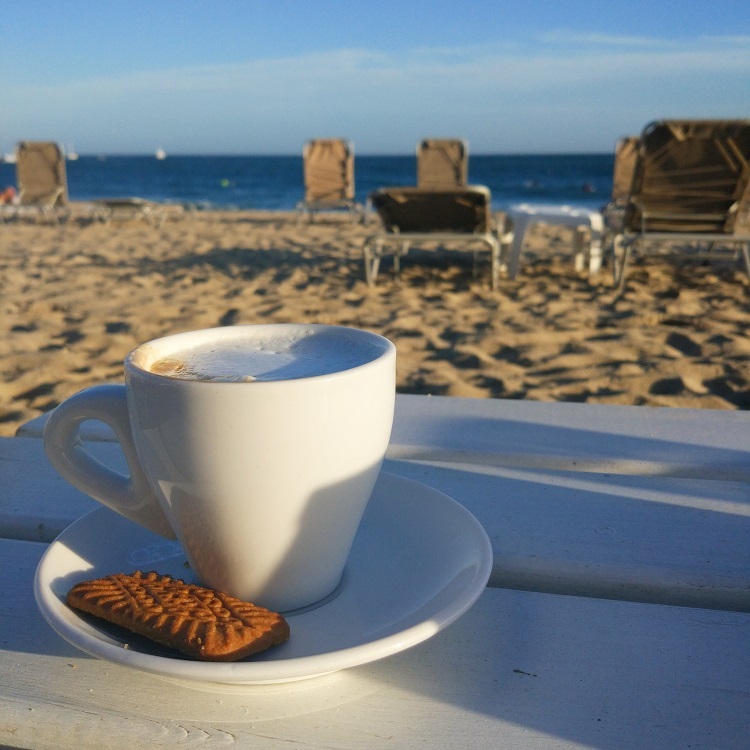 Satan’s – this is place that greets you with a sign that says they don’t serve any kind of soy latte, decaf or other similar “trendy” coffees but just a simple, to the point, delicious coffee or coffee with milk. And they are not joking. 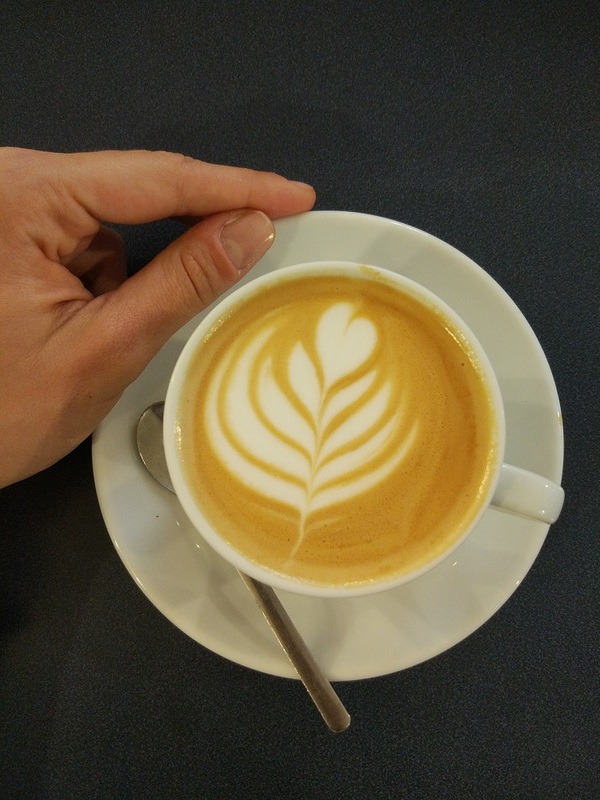 That is all they have and the coffee is delicious, so if you are a true (and not a Starbucks) coffee lover, pay them a visit. 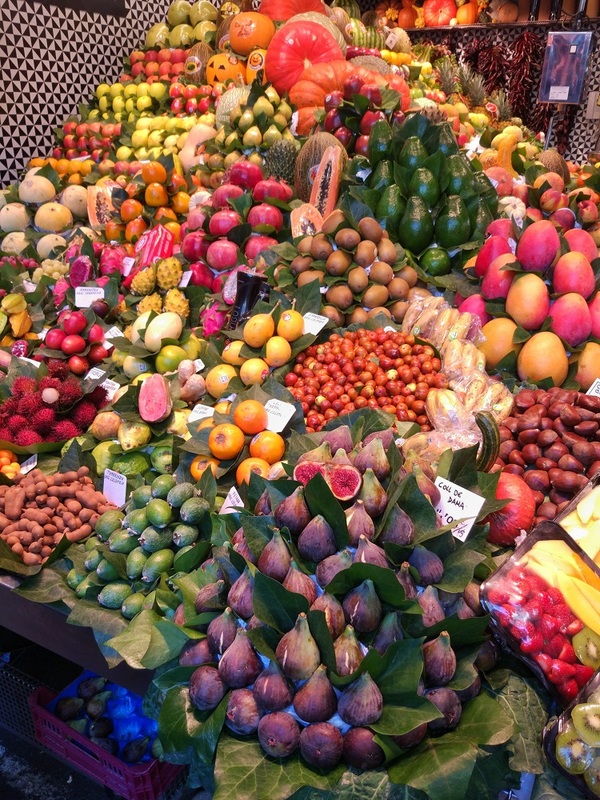 La Boqueria Mercat – last but not least, Barcelona’s food market won’t dissapoint you either. Whether it is fruits and vegetables you are after, or freshly squeezed juices, meat, fish or baked goods, you will find them there, and plenty of them! So make sure you have enough time to walk through it at least three times to maybe then be able to choose just one or two things to buy for your afternoon snack.